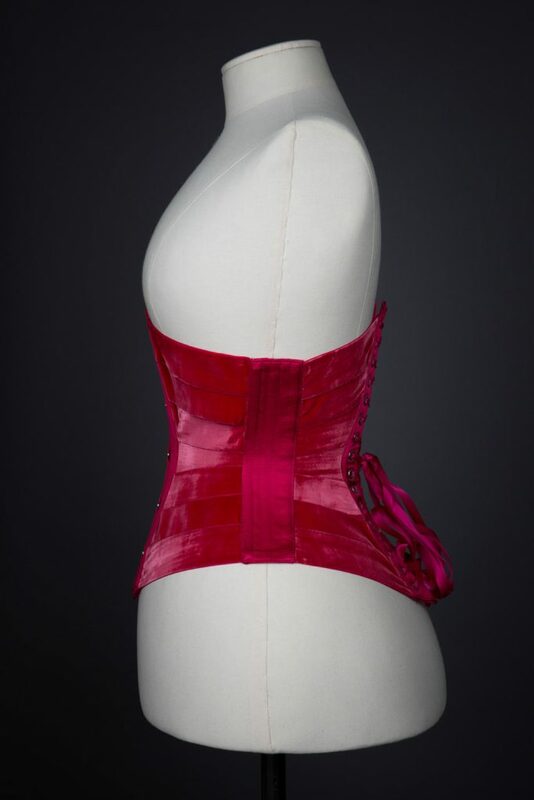 The first corset that Marianne Faulkner ever made was a faux ribbon corset, a style that was first popularised in the late 19th century. The idea of a true ribbon corset made for serious lacing later became an integral part of the Pop Antique line. 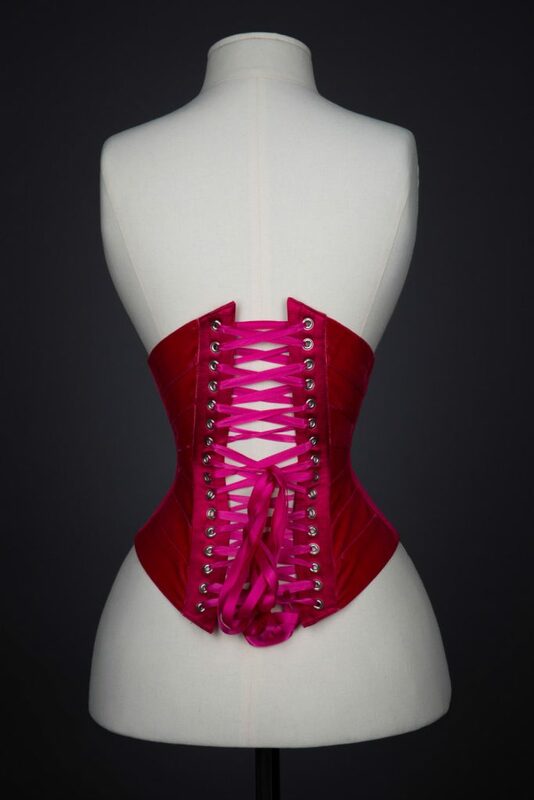 This corset was custom made for Karolina Laskowska, and the pattern is adapted from the brand’s standard fit, modified for the width of the antique velvet ribbons. The number of ribbons in each section was increased from 5 to 7, for a total of 34 panels. 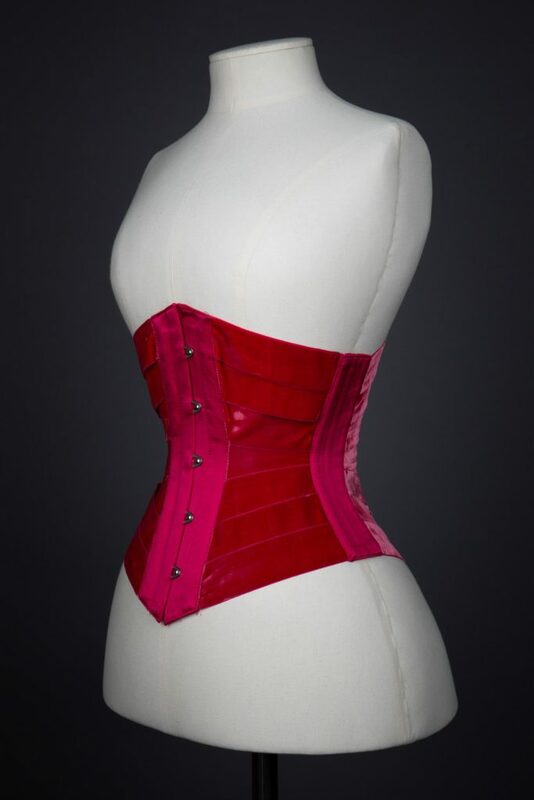 Marianne Faulkner is highly regarded in the modern corset community as both a designer and corset educator. 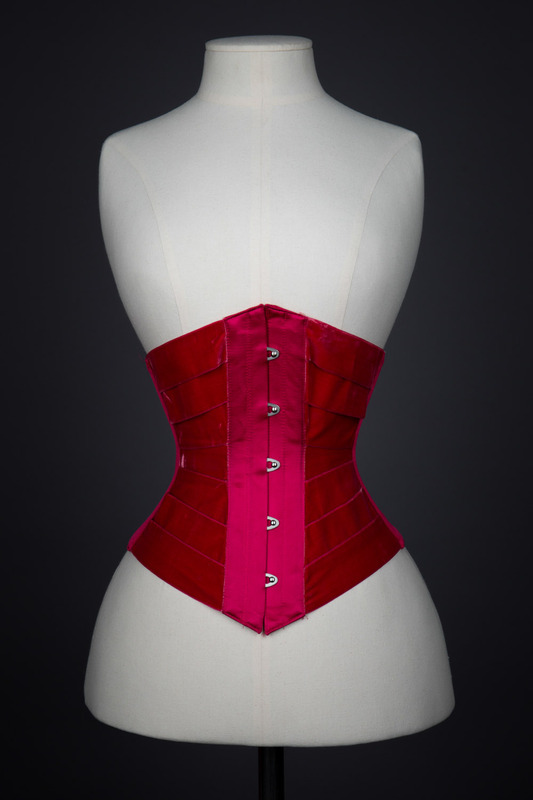 Holding both a BFA and MFA in Fashion Design, Faulkner designs under the brand ‘Pop Antique’. 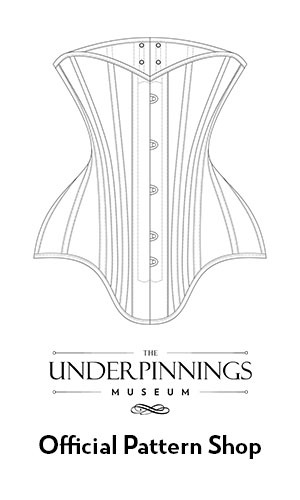 Her creations combine comfort, function, whimsy and sustainability. She is the associate creative director at renowned corsetry house ‘Dark Garden’. 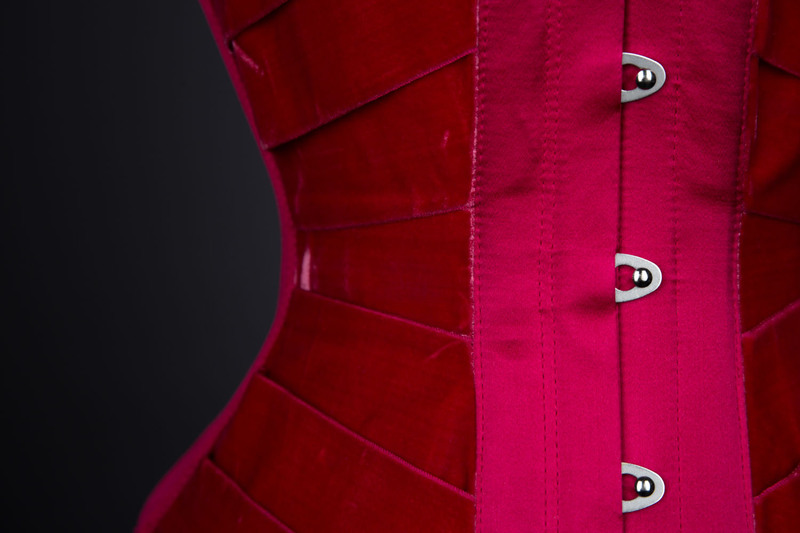 Alongside her design, Faulkner actively engages in corset education through her website ‘The Daily Waist’, and spoke at the Oxford Conference of Corsetry in 2013, 2014 and 2017.